Think chocolate. Think coffee. Think butter. Think booze. What do these all have in common? 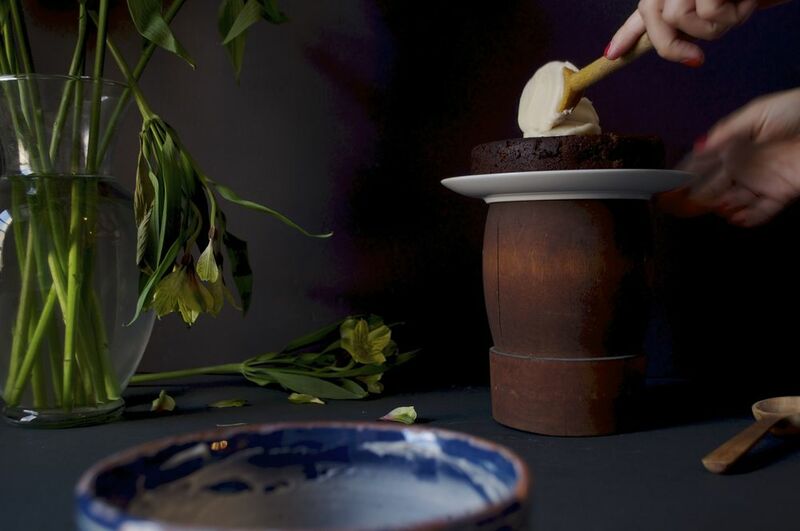 They’re all in this Black Cocoa Cake with Bourbon Frosting. This sinfully delicious cake is one you will have to try. 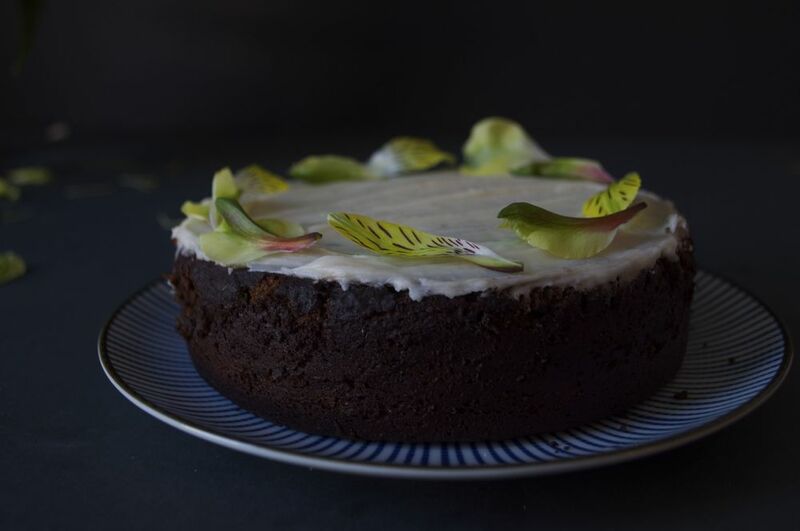 The cake itself is light, but what’s light does not lack in flavor. The batter is lightly sweetened with dark brown sugar, which gives the cake a slightly molasses taste. Instant espresso and coffee are added to enhance the chocolate flavors. Two cocoa powders are used: dark and black unsweetened cocoa powder. I like to use King Arthur’s black cocoa powder, which you can purchase online, but if you can’t find it you can always use “Dutch-processed." This cocoa powder is processed with alkaline, which reduces the acidity of the chocolate, and enhances the richness of color. Although milder and smoother in flavor, Dutch-processed powder retains a more ‘chocolatey’ taste. The bourbon frosting is a sweet glaze that coats the cake wonderfully. At first the bourbon will seem strong once you add it, but as it sits, the flavors meld together and the intensity of the bourbon subsides. The combination of both dark and black cocoa powders, along with the creamy, buttery bourbon glaze make this exceptional dessert one to be remembered! This recipe comes from Baked Occasions, one of my favorite baking books this year. It’s filled with fun and delicious recipes that will surely inspire one to cook for an occasion. Desserts like chocolate rice crispy cake with marshmallow icing, rainbow inbox cake, hippie cake, and praline ice cream cake are just some of the many recipes one will stumble across. It’s a book for all ages with new and classic desserts, curated with a playful twist. 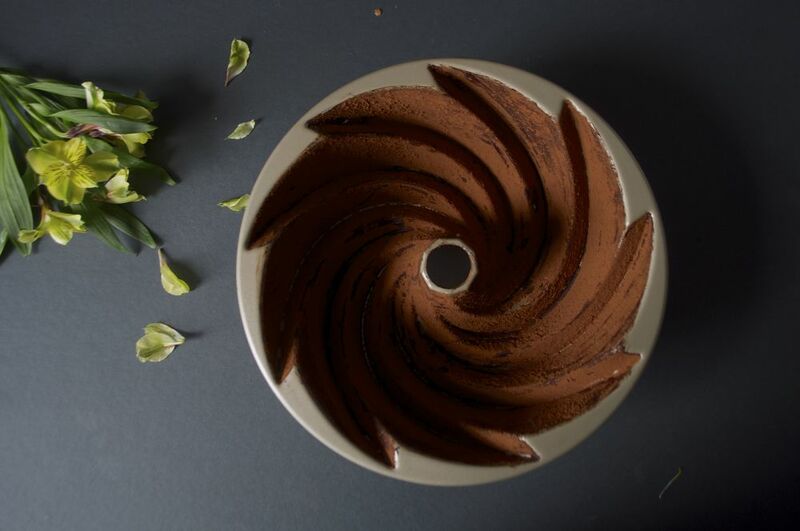 With Father’s Day just around the corner, this Black Cocoa Cake is a perfect gift for dad. It’s a thoughtful and creative way to show you care. And you can make it ahead of time. I found it actually tasted better the next day as the glaze settled and the cake took form. So turn on the oven, bring out the flour, and put on your baking cap! You’re just a few whisks, stirs, and pours away from this decadent dessert. Have fun! Note: The original recipe calls for a bundt pan (there’s a picture of a bundt pan in the images above), which you can use, but I used 6-inch cake pans for this recipe to make three small cakes. You can use obviously any pan you'd like. Refer below for more information. Preheat oven to 350 degrees Fahrenheit. Grease the cake pan(s) with butter, making sure every crevice is thoroughly coated. Dust with cocoa powder and dump out the excess. 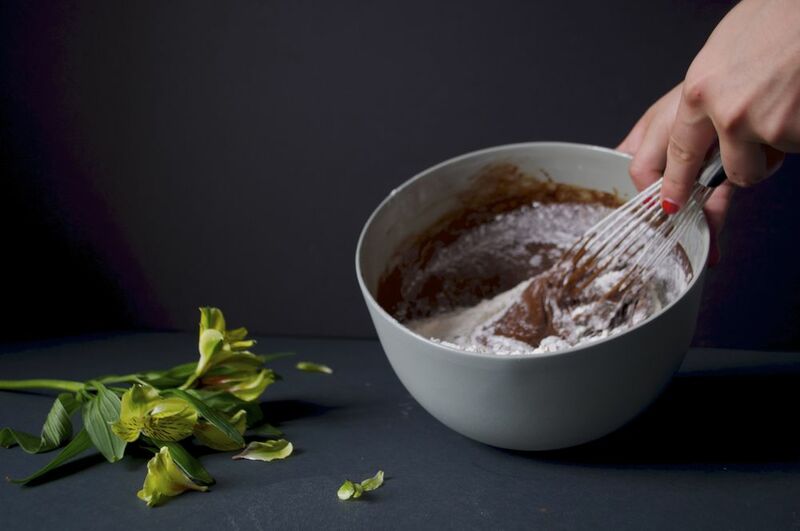 In a heatproof bowl, whisk together both cocoa powders, espresso powder, and hot coffee. Set aside to cool. In another bowl, sift together the flour, baking powder, salt, and baking soda and stir. In another large bowl, whisk together the brown sugar, canola oil, and vanilla until thoroughly combined. Add the eggs and egg yolks one at a time, whisking until just combined. 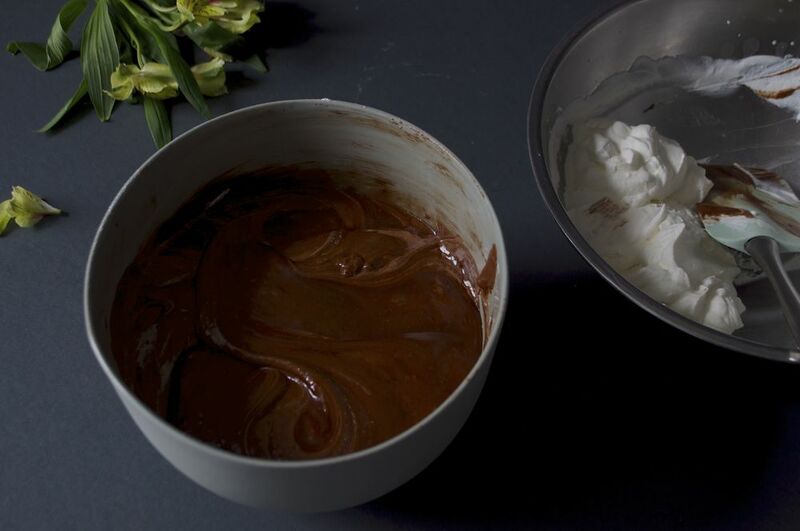 Gradually add the flour mixture and the chocolate mixture to the egg mixture, alternating between both, until just combined. Using a whisk or electronic mixer, whip the heavy cream until medium peaks form. 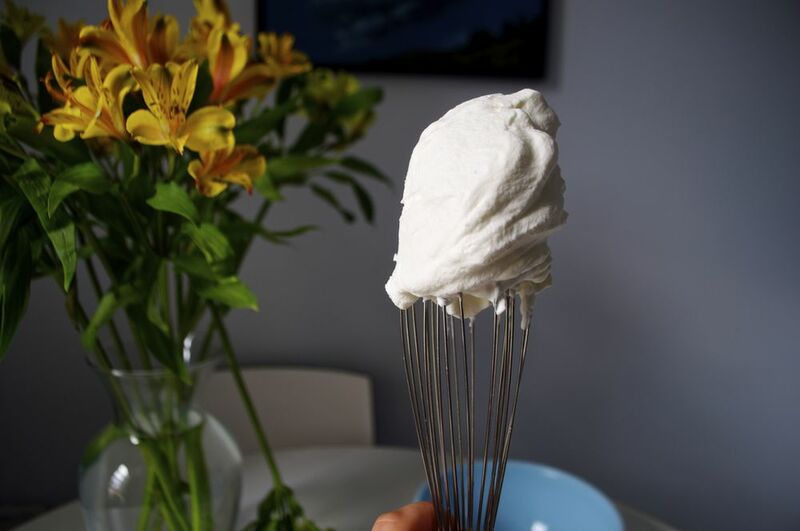 Using a spatula, gently fold one-third of the whipped cream into the batter (do not over mix! - just until incorporated). Add the rest of the whipped cream and fold until just combined. Pour the batter into the cake pan(s) and place into the oven until a toothpick comes out clean with just a few moist crumbs (cooking time depends on cake pans you use, refer to the chart above). Transfer to a wire rack and let cool completely. For the frosting, in a saucepan melt the butter. Remove from heat and SLOWLY add the heavy cream, whisking continuously (this is to prevent curdling of the cream). In a large bowl, add the butter mixture and gradually add the confectioners’ sugar. Whisk until thoroughly combined. Add the bourbon and stir until incorporated. This recipe will produce a thicker glaze, but if desired, add more bourbon or heavy cream to thin and more sugar to thicken. Pour the glaze over the cooled cake(s). Let sit for 15 minutes before serving. Enjoy!